Lahore, Nov 12: Cricket West Indies has agreed to send their full strength side to Pakistan for three T20 Internationals in March next year, Pakistan Cricket Board (PCB) chairman Najam Sethi confirmed on Saturday. Elaborating on the issue, Sethi revealed that both the national cricket boards signed an agreement to hold a series of T20Is, each year, for the next five years, in Pakistan and the US. "West Indies and Pakistan Cricket Board have signed an agreement to play a series of T20 matches, each year for the next five years. In Pakistan and in the US subject to availability of dates and venues," Sethi told reporters in Karachi, Geo TV reported. 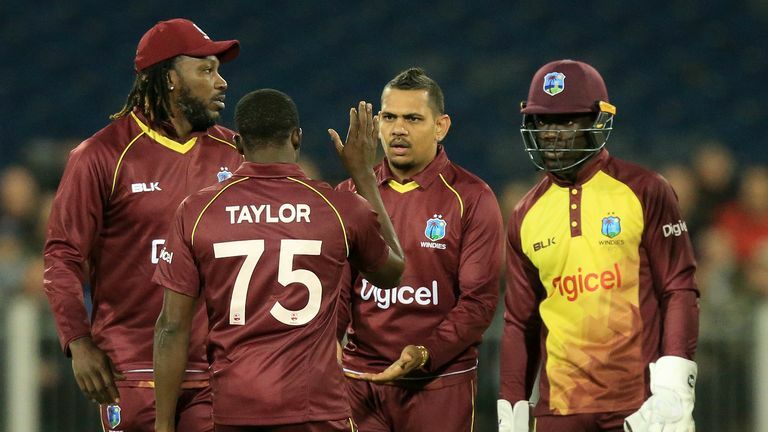 "The West Indies has confirmed that its full team will tour Pakistan next year to play three T20Is on March 29, 31 and April 1," he added. Sethi said the tour was initially planned for this month but was postponed due to smog in Lahore. "It was initially to be played in November but due to weather it couldn't be possible," he said. "Next March, Pakistan will host the first of the series, then Pakistan will play in America. And this will continue for five years," he said. Sethi further added that the US leg of the series will be a triangular series with one more team. "We are in talks and will soon finalise the third team for the US leg," he said while adding that this bilateral arrangements between PCB and West Indies is outside the Future Tours Programme (FTP).